Alan: The cat's trying to sneak up on me again, isn't he? Johnny: La-de-da-di-da. I'm so brave. Johnny: I'll just sneak around here and go visit mom. Big Ears won't bother me. He doesn't even know I'm back here. Alan: You'll never learn, will you? Ohhhh, poor, poor Johnny. So beleaguered on every side. Tell him they're all just jealous of his good looks. I'm about to send a "BE KIND TO JOHNNY" banner for you to pin outside. This ostracism must stop. If the fish needs to heed it to, I'll send a waterproof one. 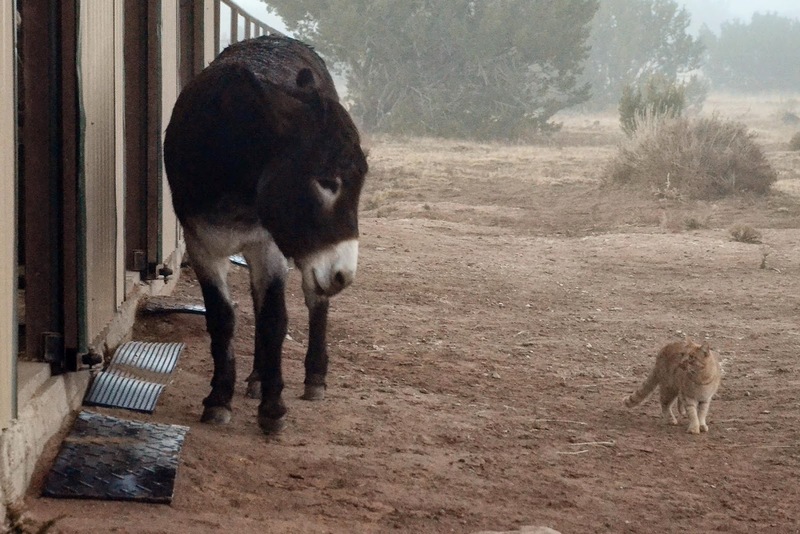 Alan is doing a fine job of training Johnny to be wary of the herd. A little distance makes for healthy walking around. 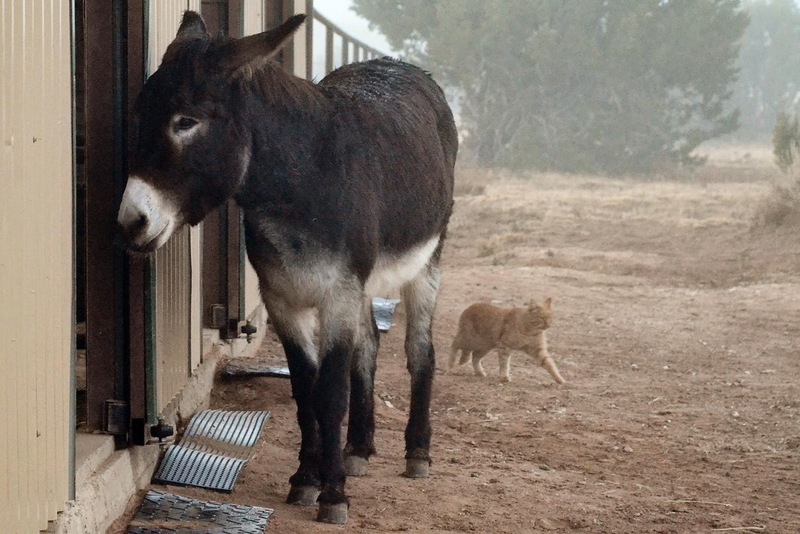 I feel bad for my donkey and horse because they're so curious about my cat, but I'm worried for my cat because of their curiosity. 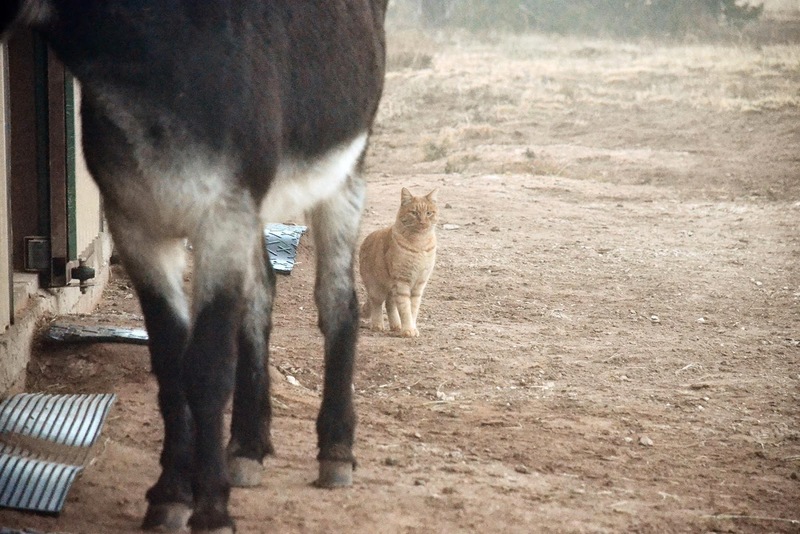 My cat will hunt in their pasture and the donkey will sneak up, but always at the last second my cat darts away. 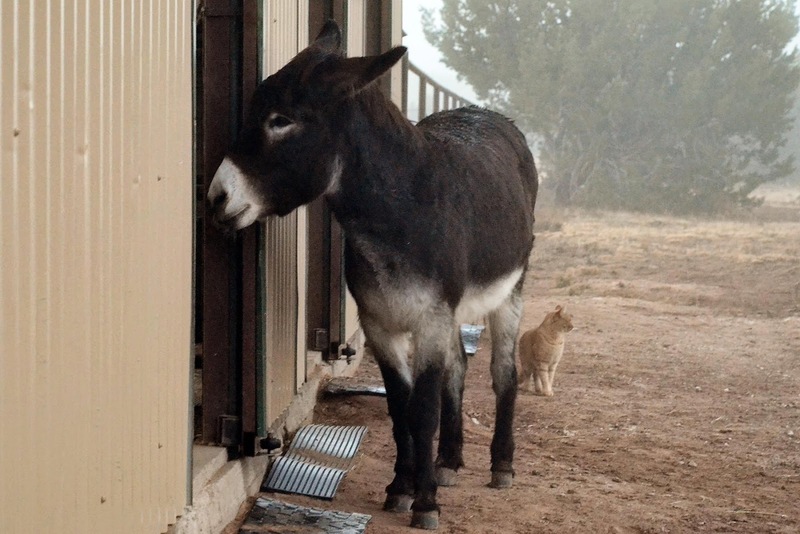 And if the horse was more subtle with her sniffing, maybe the cat would let her touch her with her muzzle, but the sniffing and blowing out cat scent chases the cat away. 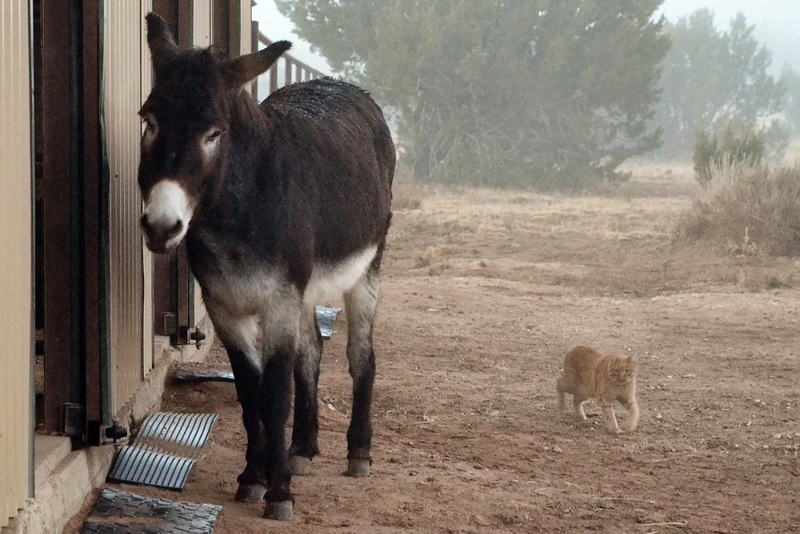 I wonder if my equines understand that the cat is my baby and I love her and they shouldn't hurt her. But I'm glad that my cat is suspicious and keeps herself safe. 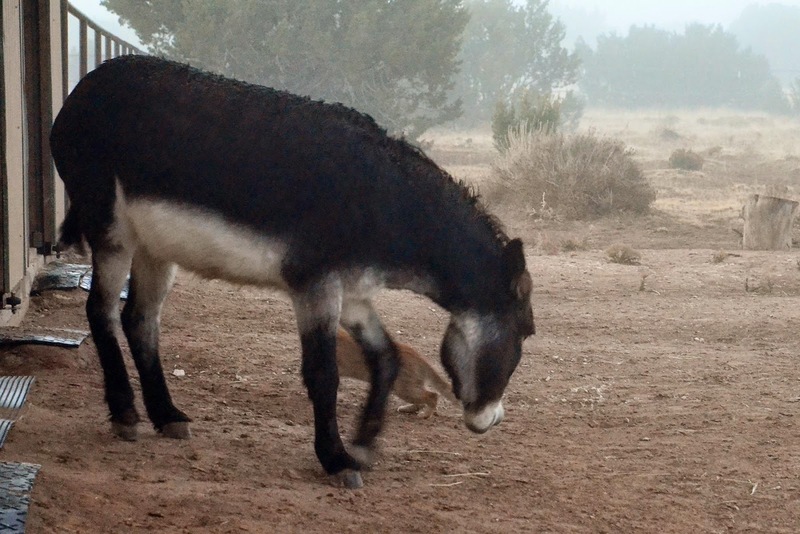 Not that she'd sit on a donkey like Johnny, our cat is too wild to even sit on our laps at night in front of the TV. So glad to see a cat in your home again. My Lucky Barnett (cat) can set Val (horse) off into full crazy mode, with a stare alone. From across the property.